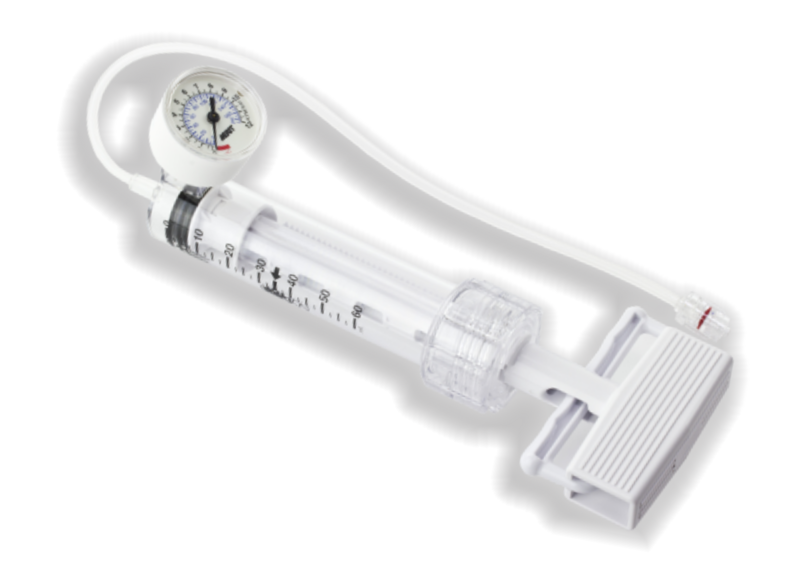 Inflation Device used for a wide array of applications such as balloon catheterization, stent deployment and fluid delivery. Inflation Device used for a wide array of applications such as balloon catheterization, stent deployment and fluid delivery. Inflation Device connected with 1200psi braided line and 3-way stopcock for interventional systems . Ergomic design, easy for holding and operating features of inflation device make it very user friendly.